Building upon their pledge to provide mobile developer training to 100,000 Africans to develop world class apps, Google is pleased to announce the next round of Google Africa Certification Scholarships aimed at helping developers become certified on Google’s Android, Web, and Cloud technologies. This year, they are offering 30,000 additional scholarship opportunities and 1,000 grants for the Google Associate Android Developer, Mobile Web Specialist, and Associate Cloud Engineer certifications. 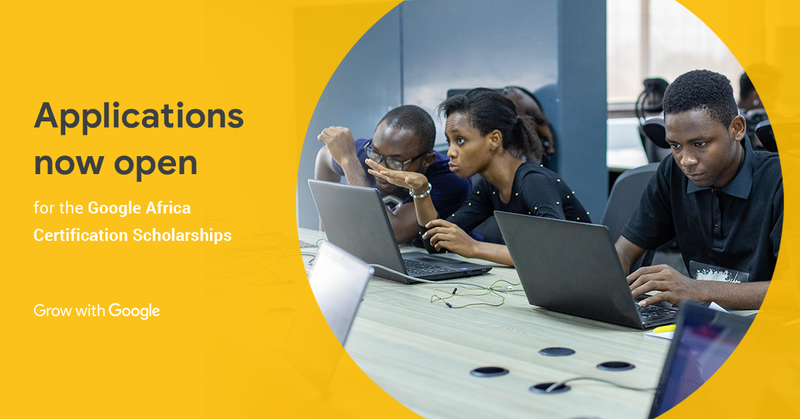 The scholarship program will be delivered by Google’s partners, Pluralsight and Andela, through an intensive learning curriculum designed to prepare motivated learners for entry-level and intermediate roles as software developers. Opportunity to join Andela as a software engineer. Applicants will be prioritized based on Pluralsight Skill IQs, amount of Pluralsight content consumed and other target demographics. For more information, visit Google Africa Certification Scholarship.